CMM Groups was established in the year 1999 by Dr. M. Shariff. Today The Company enjoys a strong presence in Karnataka and Andhra Pradesh regions. With a laser sharp vision on development , the company has acquired sizeable prime land holdings across the state for its envisaged residential and commercial projects , and has made its position as one of the largest companies in t h e Real Estate Industry. The company is one of the fastest growing entities in the realty sector with a difference that offers luxury for reasonable costs, excellent customer care levels with highest customer satisfaction index and the highest imaginable standards for the welfare of its staff, society as well as for the environment. 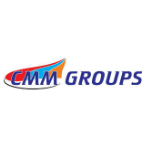 With this extensive experience CMM GROUPS has become a known and established Name in Land Development,nationally and Internationally.